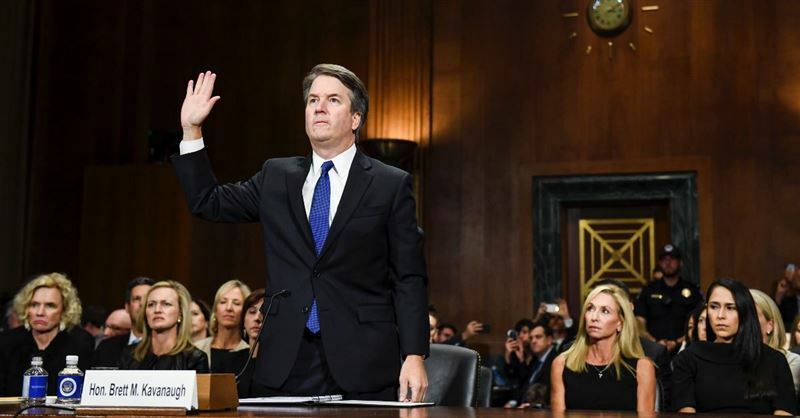 Brett Kavanaugh Writes Op-Ed in Wall Street Journal, says "I Am a Pro-Law Judge"
On Thursday, the Wall Street Journal published an op-ed written by Supreme Court nominee Brett Kavanaugh. In the op-ed, Kavanaugh apologizes for some of his responses during last Thursday’s hearing which was set up to look into sexual assault accusations made by Dr. Christine Blasey Ford against the judge. Does President Trump Have the Authority to Pardon Himself? Yesterday, President Trump made headlines when he stated that, as President of the United States, he has "the absolute right to pardon" himself. Did the Bible Play a Role in Shaping the U.S. Constitution? Recently, a group of California counties have collectively decided to appeal to the state and federal governments to establish the state of New California. The U.S. Supreme Court could again be asked to decide the constitutionality of opening government meetings with an invocation. With eight justices, the high court starts its new term with only one blockbuster case.